Unbelievably we are already half-way through the school year and how the time has flown by. 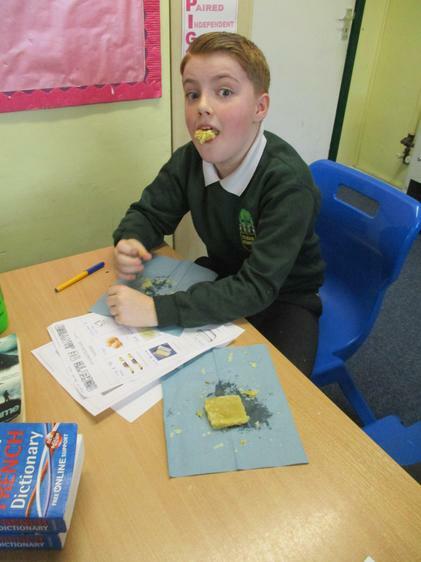 Oak class have been working very hard in preparation for their SATs in May, but they have been plenty of fun activities to enjoy too. 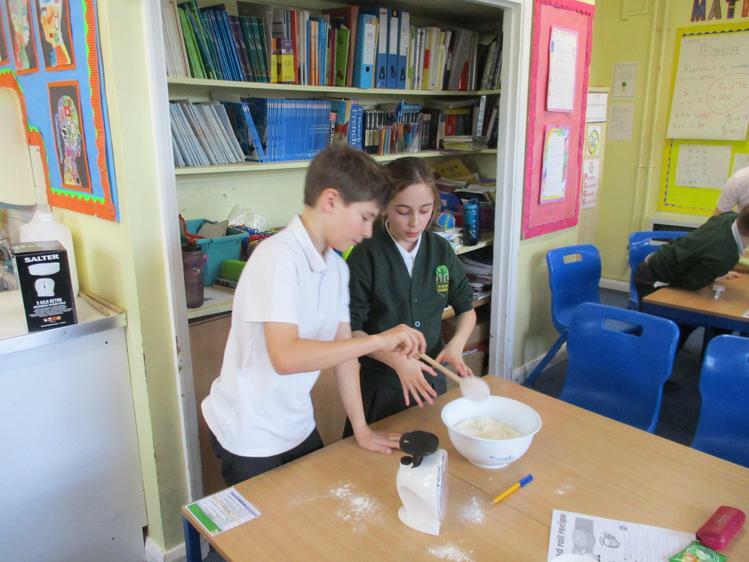 This Tuesday saw the class making bread with Mrs Short. 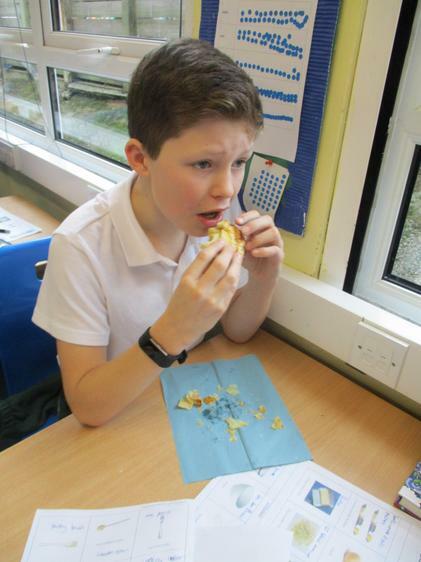 Many different ingredients were tried, including chocolate, cheese, chives and chilli (not all in the same loaf though!). 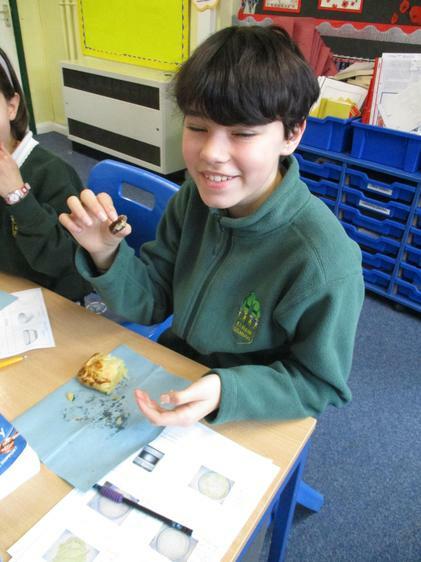 The children very much enjoyed this hands-on activity. 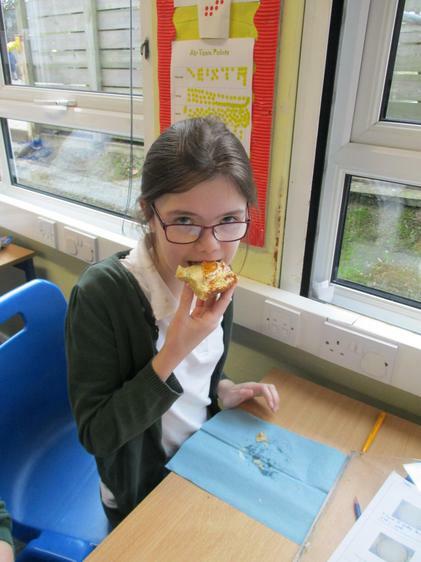 Thursday was Valentine's Day, so we based our French lesson on a Valentine's poem along the theme of food. 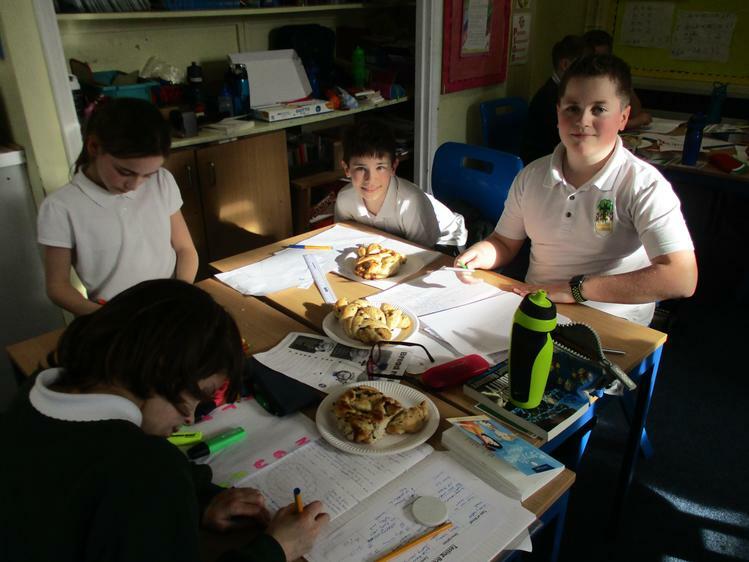 The children wrote their own versions of the poem with lines such as 'Tu es les glaçons dans mon coca' and 'Tu es le ketchup sur mes frites'. 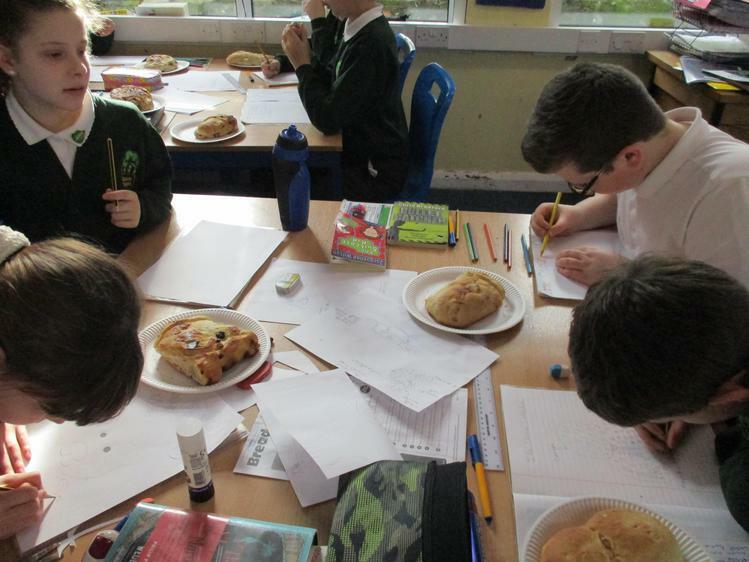 They wrote best copies and decorated these with pictures of all the foods they had included in their poems. Everyone did a super job with these, and many of the class were very keen to take copies home to show their parents on Friday. Once again we have had very busy weeks with our teachers helping us to learn and grow. We have tackled ratio and converting between lots of units of measure (mm/cm/m/km, ml/l, g/kg and from miles to km) in maths. In literacy we watched a short animation called 'Alma' and then wrote the story as we were here. It's quite a creepy tale - there is a link to it below. 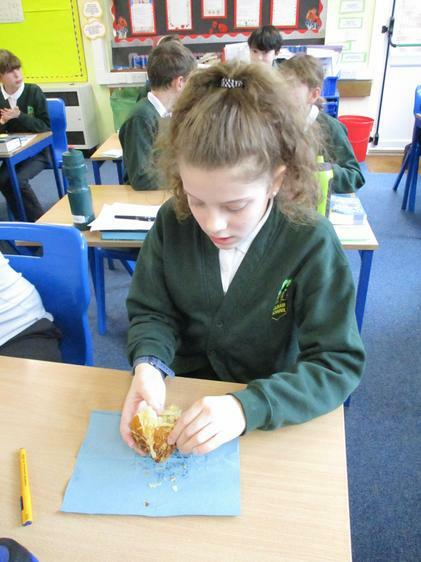 We have also been writing poetry full of imagery based on a wonderful poem by Kit Wright called 'The Magic Box'. We have continued to enjoy our gymnastics and music lesson - even if the drumming sometimes does get a bit too loud and out of time! 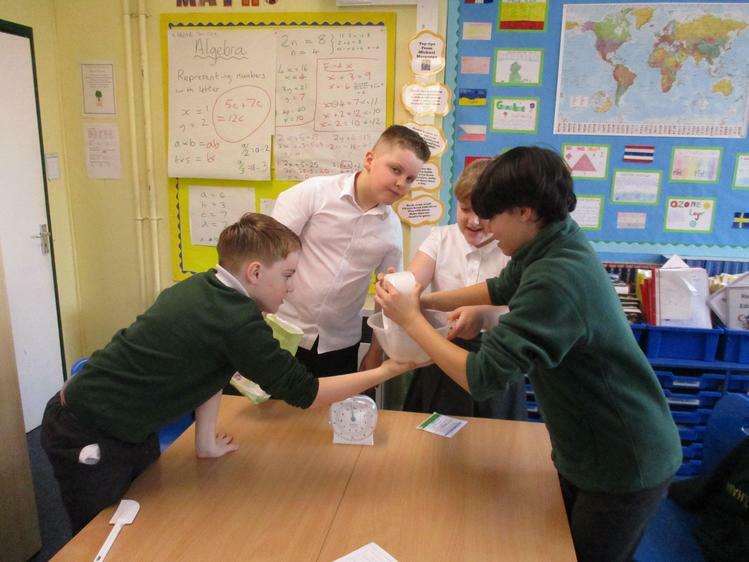 Our topic of 'The Global Community' this term has captured our imaginations. 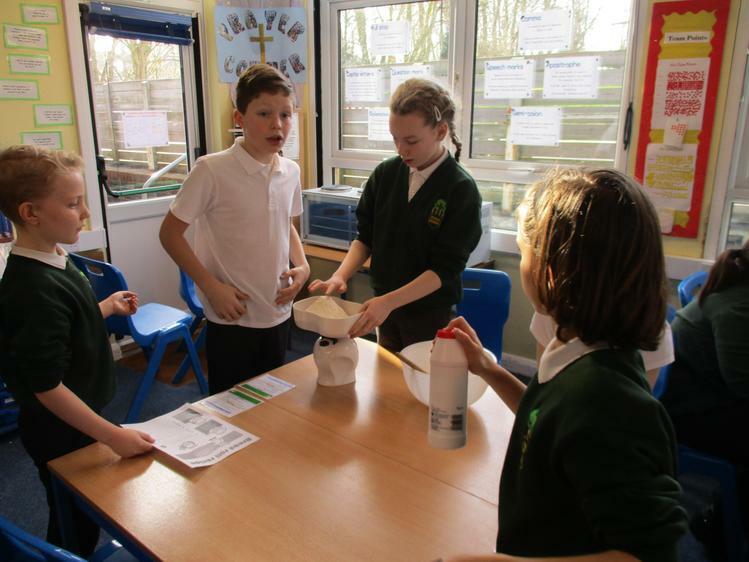 We have looked at issues facing the world such as pollution, deforestation, the shrinking ozone layer, poverty and urban sprawl, and have created a class display on these. Please do drop in and have a look at our work if you have time. 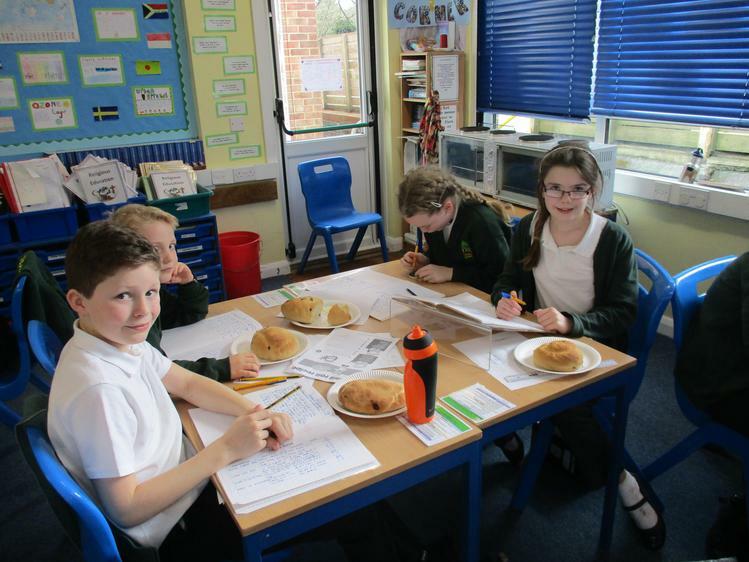 This week we discussed the issue of food miles and looked at the advantages and disadvantages of be able to buy food from around the whole world, rather than just what we can produce in the UK. With a little help from Mrs Short, we also presented what we had learnt to the rest of the school in an Oak Class assembly. 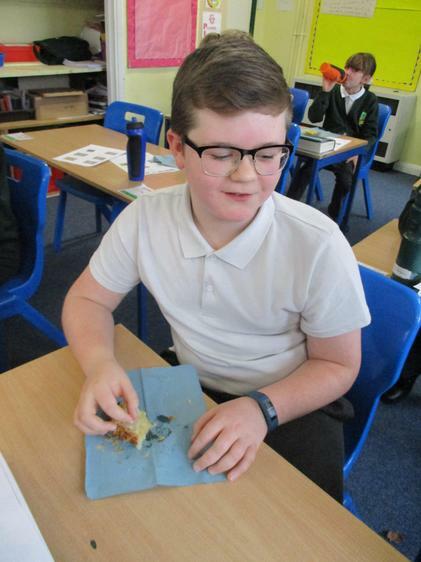 In Science we are still investigating Evolution and Inheritance and have linked this to our literacy by writing a biography of Charles Darwin. Finally, we got some snow on Friday 1st February, but unfortunately it was too slushy and icy to play out in. Wrap up warm everyone and have a great weekend. Welcome back to everyone in Oak Class. We hope you all had a wonderful Christmas holiday. Mrs Short, Mrs Godden and Mrs Vincent would like to thank all of you who very kindly gave us Christmas gifts - we very much appreciate you thinking of us and we are enjoying our presents. The next few terms are very important for year 6 - there is lots of learning to be done and we expect everyone to try their hardest to be the best they can. 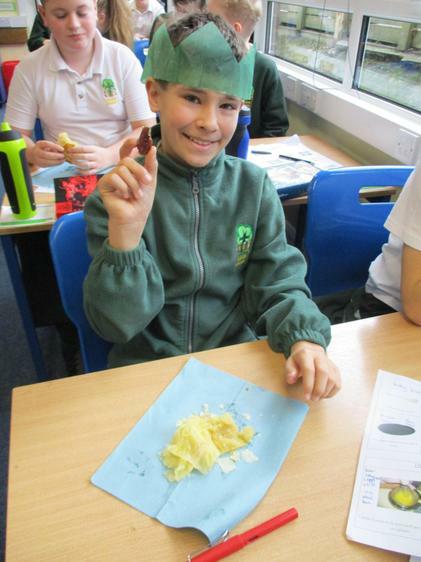 There will be some fun along the way though, culminating in the KS2 production during the summer term. 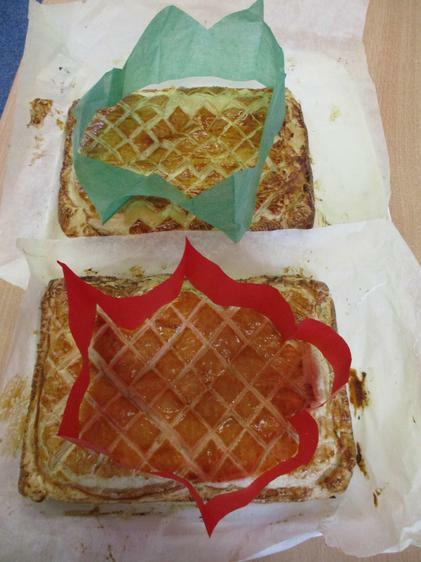 We enjoyed a fun French lesson on Thursday when we learnt how Epiphany is celebrated in France. 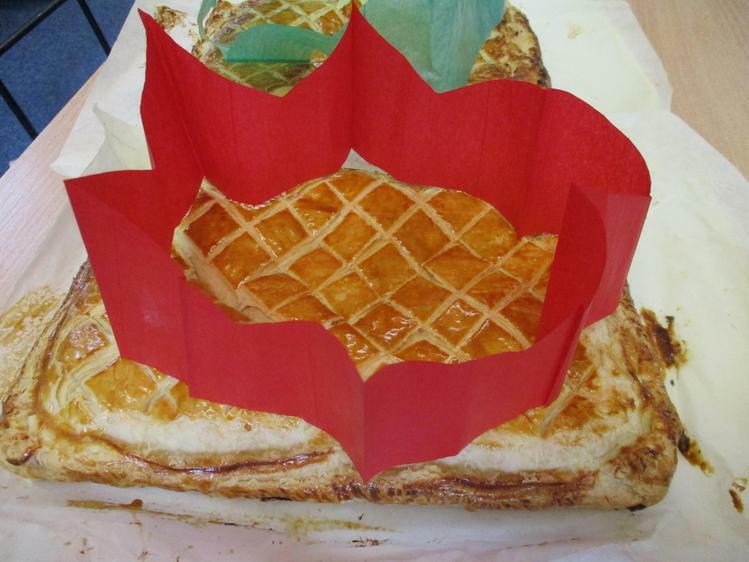 It is called La Fete des Rois (Festival of the Kings) and a figurine is hidden in a special cake (La Galette des Rois) which is only eaten on this special day. Whoever gets the figurine (La Feve) in their slice becomes the kind or queen for the day. 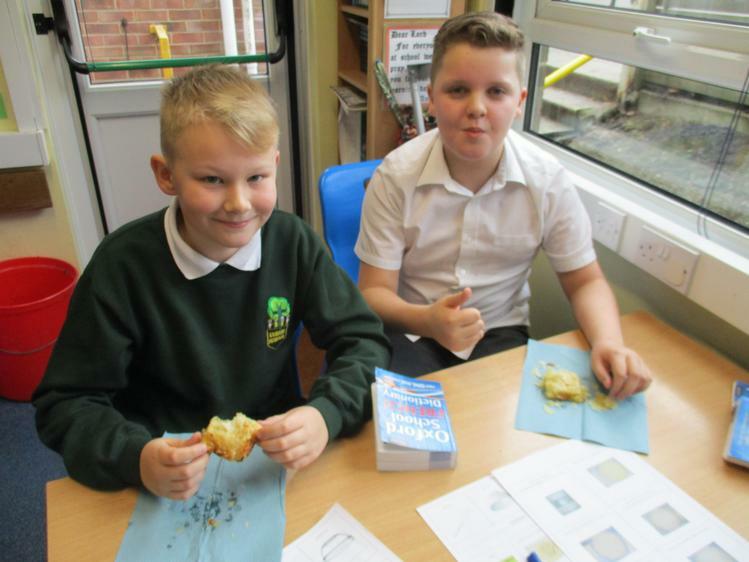 Lily Andrews and Lucas Turney found the 'feves' in their slices of cake, so they became the king and queen of Oak Class. 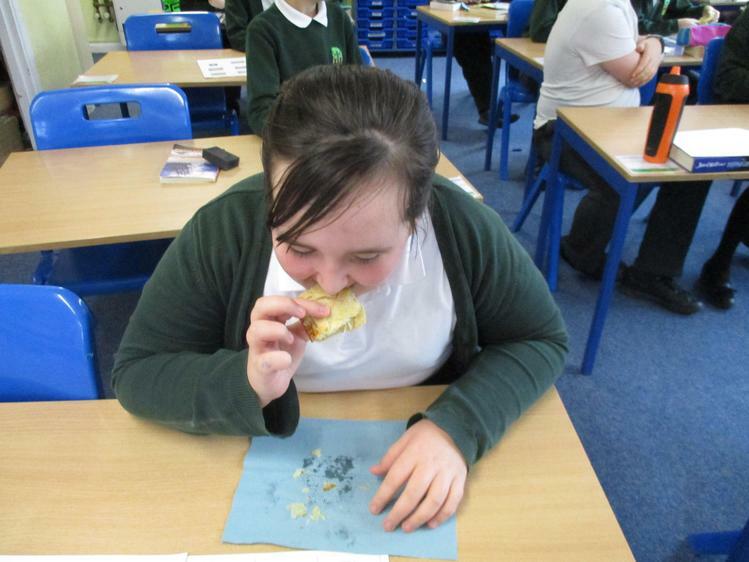 There are some pictures below of us enjoying the galette which Mrs Godden made for us. It was yummy. We have started a new topic with Mrs Short on the Global Community and our first lesson saw us learning about the seven continents. We are now also learning something new in PE as we are doing gymnastics this term. It was certainly nice having PE inside this week given the very cold weather we were having.